This is the 14th Letter in the series. 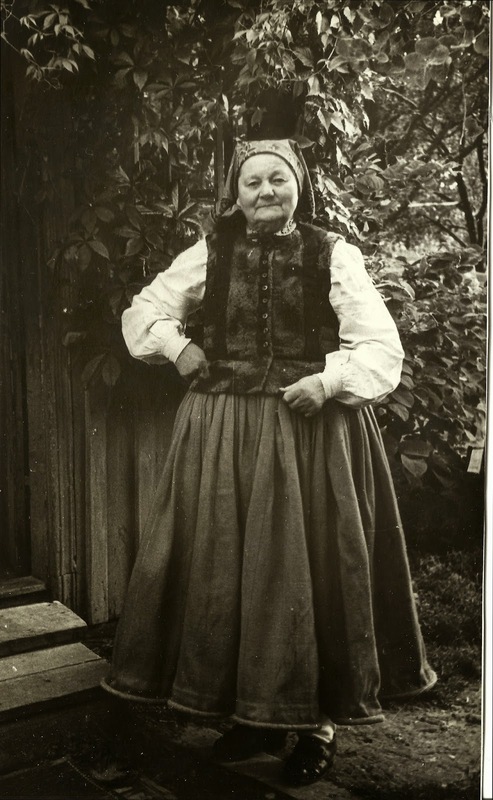 In this letter two people are mentioned that I will have to dedicate a post to eventually: My grandmother Katrine ČIRKŠIS and her mother Maiga LAPIŅŠ. I don't know a lot about Maiga at the moment but if she was anything like her daughter or granddaughter, I have no doubt that there will be stories of her out there. Our dear Janis in a foreign country! We send you loving greetings from your quiet birthplace! We received the last letter from you about a month ago, to which we then replied straight away. Now we are again waiting for a letter from you and I’m sure it will come, but every day, even if the postman has brought a letter from you the evening before, we quickly look between the pages of the newspaper, to see if there is a letter from you. …. But of course we don’t live so close and your situation is not so normal that we might correspond too often. Other families from over your way have not received even a line, they know only indirectly that they are alive and where they are. There are also still those who don’t know anything about their sons, where they are and if they are alive and they wait, and hope, and doubt. So we can be happy that we are among the lucky ones that receive lines written by your own hand fairly often. So is there something bad in that for us? – I will write once a month from now on. The last letters I wrote were on 27.1 and 19.2 and now this one, the latest. Although there is nothing we can do to help you, my dear brother, with a letter we can send you in a faraway foreign place a bit of the warmth of our love, which we have for you, our son and brother, for whom fate has decreed such a long exile and the hardship of that, the separation of a hot heart from its homeland. Even though our letters cannot give you any material benefit, you have to bear that and struggle for it on your own, but at least they can maintain a bond with your homeland, with everything old and past, that is connected to your free childhood and youth and that might give you a bit of joy, strength and maybe energy for life in exile. And your mother’s heart prays most fervently that God stand by you, protect you and lead you back home one day. And always at church in the resounding quiet there, prayers are also said about those of you who are far away and I am almost certain that it is then that every Latvian heart prays most fervently and most sincerely. Here at home we can sense that the new summer will be here soon, the cold and the darkness will recede again and leave room for the warmth and brightness of the sun, which will make everything shoot anew, grow, blossom and be fragrant and bear ripening fruit, as a blessing and a joy for humanity. The roads had thawed completely already, and the highest ones dried out as well, the sun was smiling so warmly and lovingly, that you could, you wanted, to stand in the sun at lunchtime and surrender to its caress. We couldn’t make the chickens stay in the shed and Pidriķis the cat was snoozing cosily in the warm sun. Even the pale green and pink shoots of the phlox and the peonies have already appeared above the ground. The lark is trilling high up in the skies towards the sun and the blackbirds are starting to nest at the edges of the forests. I have already seen the wild geese arriving in formation, cackling – from the distant, warm south, they are again traversing the great distance to their northern birthplace, now the summer is approaching there. – But yesterday we had cold of -5⁰C again and the ground became hard once more and towards the evening tiny snowflakes started to fall from the dark sky, that the wind was buffeting about with his unruly steeds. It is still snowing this morning and you can hardly get to the cattle-shed in your clogs. But that is sure to be the last “skylark” or Lenten snow, which can’t go on for long and the spring will be the nicer for it and it will be more pleasant for starting the spring jobs. The yard has been piled full of firewood again, yesterday an old man came to help saw it up. Mum and I are taking turns in weaving cloth. After that we will weave towels, they will be much quicker. We will need to hurry up with the indoor jobs, so our hands are free when the earth calls for the seed to be spread. – This morning our young cow Rasa gave birth to a bull calf and her udder is now so big, that she looks like being a good milking cow. So I am writing and telling you things and it seems to me that we are living peacefully and well, but you over there are having such a hard time, don’t you have to worry and think hard if you can even have your daily sustenance, and what will your life’s tomorrow bring. But truly I don’t believe that anybody could ever take away our hope and faith in a brighter, happier future for us all! - Give our love to your wife Lidija and to Ilmars. Our love to you yourself too – your family at home. 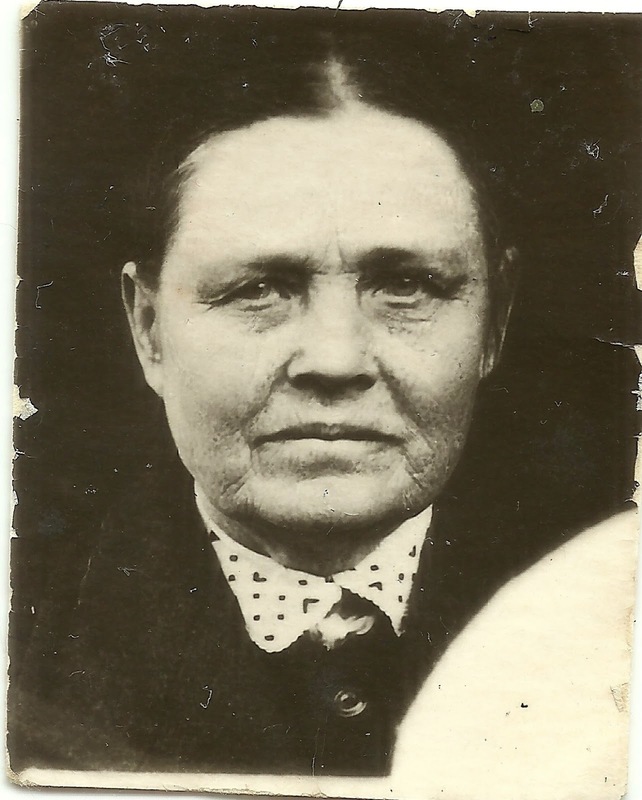 Maiga LAPIŅŠ, my great grandmother. Greetings, my dear children. I am happy and thank you so very much for the namesday greeting. I will tell you that I am now spinning wool for the warp of the cloth and I have almost finished. Katy is doing the wool for the coloured threads and when that is done we will set up the looms for weaving cloth, because we know that when you are able to return home you will need it and we will be able to clothe you, so that you can rest from the hardship of exile. I’ve got a bit of wine ready too, which we are saving for you to refresh your exhausted hearts. And grandma is waiting for you more than anyone, for she has become like a small child. She stands outside and waits for cars for when Peteritis and Janitis come home. We are having a really hard time with her because she goes up the road to wait, this morning I caught up with her again near the Pavils’ place. So I will finish and may this page be a caress and a blessing to you far away. Greetings from Dad.